We are oldest manfacturer of Aluminium Truss. Our standred size of Aluminium truss is 50ft x 40ft x 22ft Height, 60ft x 40ft x 33ft Height, 100ft x 100ft x 33ft Height. 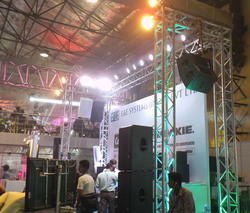 We are manufacturer Sound Truss. We can manufacturer this truss as per requirement of our customer. We are the leading manufacturer of Alumionium Alloy Truss. We can make in any size Aluminium Alloy Truss . This Aluminium Alloy Truss are used in Sound, Wedding purpose, reception, parties, Events, Car exhibition etc. 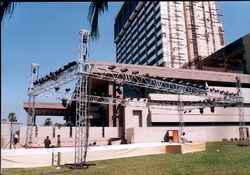 We are the leading manufacture and Developer of Truss. 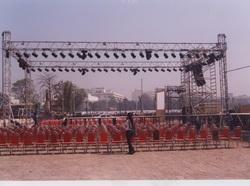 We can make This Truss Good quality and Good Strength as per requirement of our customer. This is a Aluminium Roof Truss. We can Make Aluminium Roof Truss in any size and Length as per requirement of our customer. This is called Club Truss. 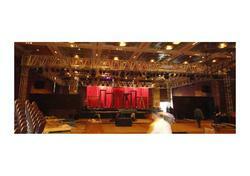 We can make this Club Truss as per requirement of our customer. 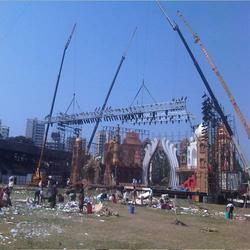 We are Leading manufacture of DJ Truss. 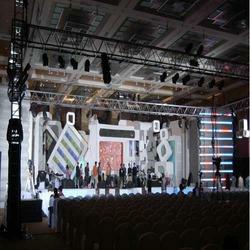 We can make this DJ Truss in any size and length as per requirement of our customer. This DJ Truss is used for sound. 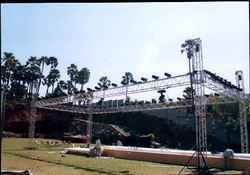 This Truss is used in Club also. We are Leading Manufacture of Aluminum Alloy Truss. We can manufacture This Aluminum Alloy Truss as per requirement of our customer. This Truss used for Light and Sound. This is a Advertise Truss. This Advertise Truss are used for advertising company profile. This is called trade show truss. 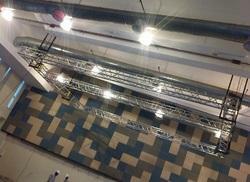 This truss used in exhibitions and sounds. 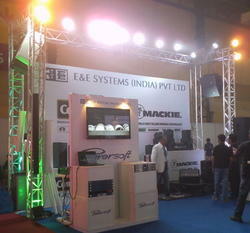 We can make this trade show truss in any size and length as per requirement of our customer. We are the manufacturer of Truss Structure in India. We can make this Truss Structure in any size as per requirement of our client. This is called aluminium tower. We can make this aluminium tower as per requirement of our customer. This aluminium tower are used for sound. This is a booth truss system. 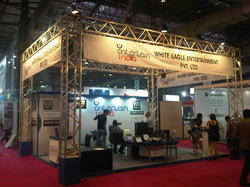 This booth truss system are used in exhibition. 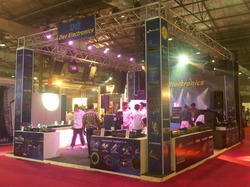 This Trade Show Booth Truss used in car display and car exibhition also.